Garden celery, Wild Celery, Apio, Apiumgraveolens, Celery Fruit, Ajamoda, Ajmoda, Ajwan, ApiiFrutus, Apio, Knob Celery, Apiumgraveolens, Céleri, Fruit de Celeri, Graine de Céleri, Celery Fruit,Karmauli, Persil des Marais, Selleriefruchte, Qin Cai, Smallage, Selleriesamen. What is celery grounded powder? Celery powder is concentrate prepared from the dried celery plant or celery juice using grind machine and a food dehydrator. The dried Celery powder is used as a flavouring ingredient. Fragrant celery powder is used usually as a part of the famous cocktail the Tomato juice and vodka. Celery powder is a decent companion to many bean dishes, particularly string beans and green beans. Celery powder is normally used as an ingredient of sauerkraut, pickling, and frosty vegetable salads. This powder will mix easily into sauces and dressings for rich flavour without crunchy seed bits. 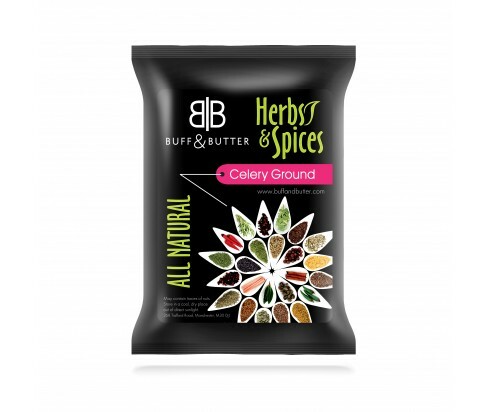 Celery powder is additionally used alongside with white pepper and onion to shape the Cajun sacred trinity which isrequiredif you are making anything Cajun like red beans and rice, jambalaya, gumbo. Often used as a flavour base for a wide assortment of dishes, meals, meat and vegetable dishes, egg, sauces, salads, sauces, sauerkraut, tomato juice and stews. Used in rubs and blends. Celery powder is ananti-hypertensive agentfor centuries, celery keeps on demonstrating its numerous cardiovascular advantages. Celery helps both anti-inflammatory and antioxidant activities. Help enhance cholesterol levels and blood pressure. Anti-aging benefits, treatment of pimples and skin inflammation, useful for oily skin. Removes kidney and gall bladder stones. In the United States, celery powder sometimes is used as a food additive inorganic meat preparations. Celery is alow-energy vegetable and because of thelow level of calories, celery is appropriate for diets. Celery contains certain measures of vitamins C, B2, K and dietary fibres. In Portage, Michigan there is a celery museum called the Celery Flats Interpretive Centre. The leaves are washing and sliced daintily as possible. The sliced leaves are drying out in afood dehydrator. The very dried leaves are moving into the processor and grind into a powder.